I can’t find the sewing pattern (shape). I don’t need the video. Thank you, love the shape of this. Hi Janet 🙂 I’m glad you like pattern. The pattern link is in this post, right above the videos. Just click it & it will download directly to your computer. I’d love to see your Bitty Bit Cuddle Baby! Hello, I am very excited to make a doll or two. I have been learning to make dolls for a year. I have designed my own pattern but I have wanted to attempt a Waldorf style. This will be a good learning tool for me. Thank you for all of the tips. I am looking forward to receiving your newsletter as well. Hi Barbara! 🙂 That’s exciting. You are so welcome & I would love to see what you make. Thanks so much for the free Bitty Bit Cuddle Baby Pattern. I plan to make it for my granddaughter. Thank you for such a wonderful & detailed video on making these tiny waldorf babies. I have been so fascinated with waldorf dolls lately & your tutorial was so interesting & detailed. You are an excellent instructor. I have one question however about this surgical tubing you used in the video. Your instructions say to make a 1″ knit tube, yet the Surgitube box in the video says 5/8″. Why the difference in size for the tubing? Thank you for sharing this excellent tutorial on the sweet little doll. I plan on making it for my little granddaughter and I look forward to receiving your newsletter. What a fabulous tutorial for Bitty Baby, can’t wait to get started. Thank you. Thanks so much for the videos to make this. I have twin granddaughters that are 4 months old (first and only) and I hope to make these for their 6 month birthday! Are they suitable for infants if I use only fiber fill and not pellets? I think they are adorable and, if I am successful, will be “one of a kind” gifts for them! Thank you so much for your love pattern. Hi! Thank you for a great tutorial! I wonder if it is possible to wash this dolls (and how)? When they’re in need of a good wash…Just make a warm bath, about the same temp you would for a child, add a little soap or detergent to the water. Add the doll & let her soak for a while, pressing down gently and/or “swishing” to encourage the warm water to soak in well. Let the doll stay soaking for at least 30 min or so. Repeat this step if the doll is esp. dirty or had an encounter with bodily fluids from a sick child, for example. When, the doll is clean, gently squeeze the doll & remove some of the bath water. Rinse the soap from the “bathtub”, then fill with warm water again. Place doll in the clean water & let soak again to rinse. Sometimes, I double rinse them too, making sure there’s no soap residue. It sounds like a lot of steps, but it really is an easy process. Most of the time involved is just soaking time, which is totally hands off. I usually set a timer on my phone to remind myself to check on them while soaking… 🙂 Hope this helps! You’ll find the pattern link by scrolling up on this page. It’s below the first picture & before the videos & is a highlighted blue link. Loved making a bitty bit to go with one of the dolls I was sending to my niece. They are so sweet, quick and loveable. Thank you for sharing. Previous Previous post: 1st Bitty Bit Doll Pattern is Almost Ready! 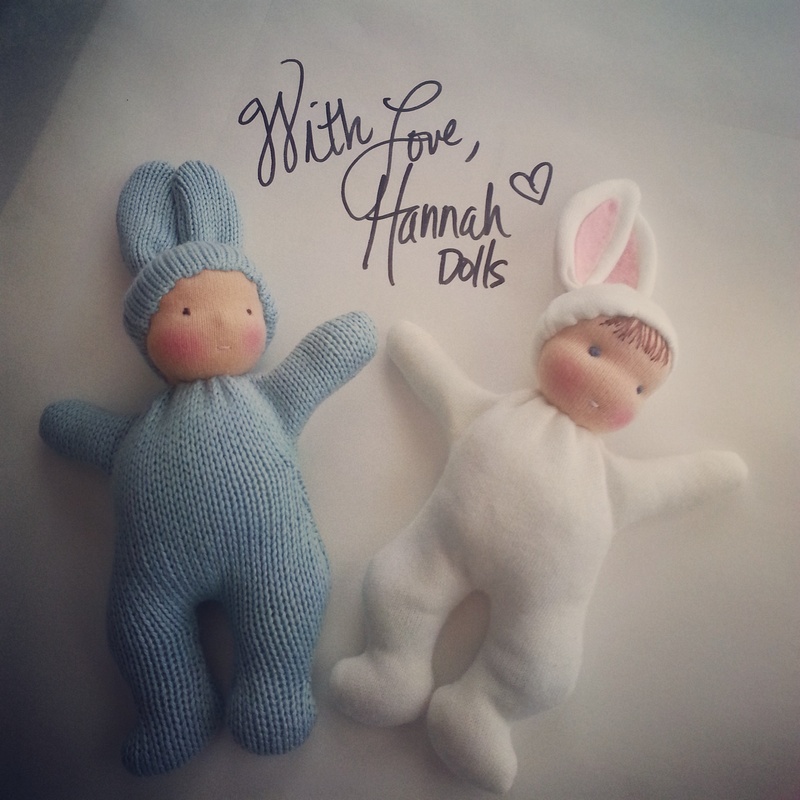 Next Next post: Bitty Bit Cuddle Baby Sew-A-Long – Come Join Me!